To mark the release of Edie on 29th October, we’ve been given 3 copies to give away on DVD. Meet Edith Moore (Sheila Hancock), an elderly woman who in the aftermath of her controlling husband’s death decides to fulfil a life-long dream, and in doing so overcome a lifetime of bitterness and regret. 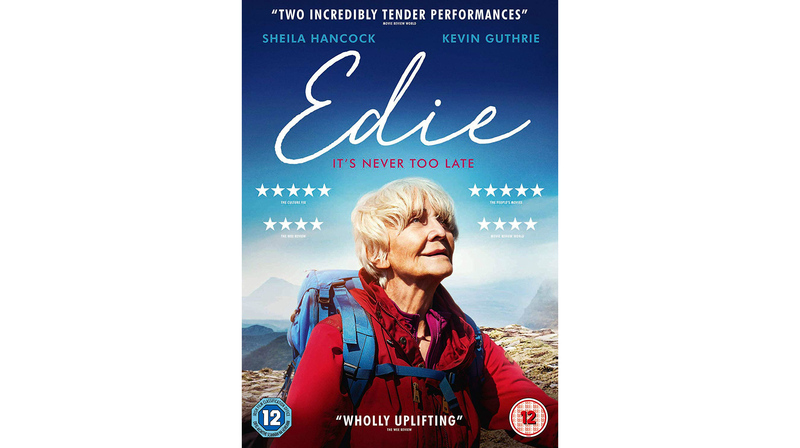 At the tender age of eighty-three, Edie sets out to try and capture a little of the magic she had as a young girl by climbing a Scottish mountain. Against her daughter’s wishes, she heads to Scotland and employs Jonny (Kevin Guthrie – Dunkirk, Whisky Galore!) to help her prepare for the gruelling climb ahead – which sparks an unusual friendship.